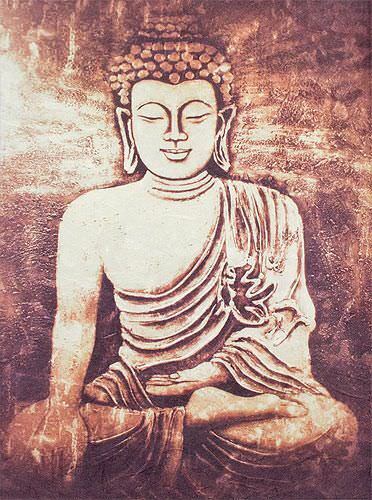 Artwork Panel: 31.5cm x 41.9cm ≈ 12½" x 16½"
Silk/Brocade: 40.4cm x 104.7cm ≈ 16" x 41¼"
This wall scroll features the image of a stone Buddha, giclee printed on kozo (mulberry) paper. The paper is handmade, and so was the wall scroll itself. But to be clear, the artwork is a fine-art giclee print (otherwise, this would be a $200 wall scroll). 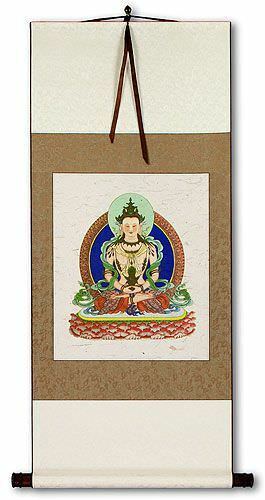 I used very good archival UV ink from a brand-new Canon fine art giclee printer to create this print.